The company plans to invest around 30 million euros (Rs. 240 crores) in infrastructure and buildings until 2020. The construction phase has already been initiated. 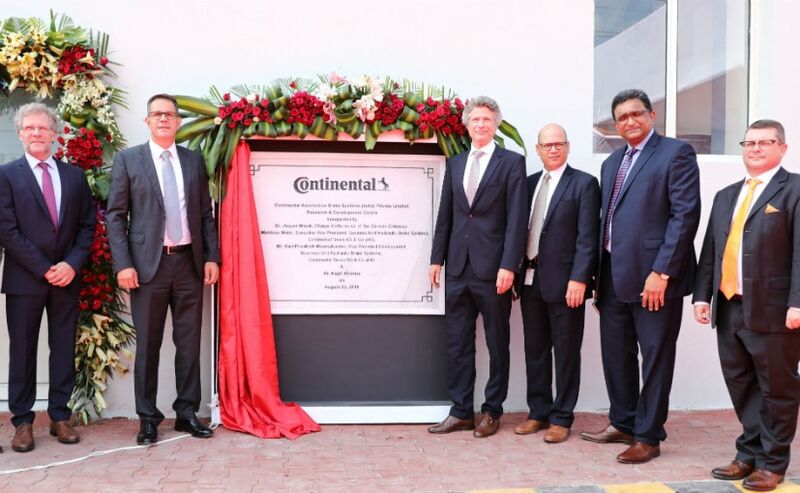 Continental today celebrated the groundbreaking of its greenfield plant in Talegaon, Pune, dedicated to its powertrain business. The company plans to invest around 30 million euros ( ₹ 240 crores) in infrastructure and buildings until 2020. The construction phase has already been initiated. Production scheduled to start at the factory by early 2020 for various drivetrain products including engine management systems, sensors and actuators as well as fuel and exhaust management components, for passenger cars, 2-wheelers and commercial vehicles. Klaus Hau, Executive Vice President Powertrain Components Business Unit, Powertrain said, "India plays a central role in our global growth strategy. Due to the increasing stringent emission legislation in the automotive market, including two-wheeler market, we are expecting a growing demand for low-emission technologies. Through this investment, we are expanding our involvement in this strategically important market, thereby ensuring that we will better satisfy the customers' growing demand". Continental has invested approximately 260 million euros ( ₹ 2100 crores) in India during the ten-year period from 2008 for its various businesses. The company is supporting all key automotive customers in India's transition to BS 6 emission standards. They continue to make investments in enhancing combustion engines and electro-mobility. The company also recently announced an additional R&D facility in its existing automotive plant in Gurgaon. Prashanth Doreswamy, Market Head, Continental India and Managing Director, Continental Automotive India, comments: "This investment reinforces our commitment to the Indian market. Continental has been growing ahead of the market in India. To continue doing so, we need to invest both in technologies of tomorrow and expand our reach in the market. With this investment in our Powertrain business, Continental will better support India's drive for cleaner air."